A view back toward the West from a pull out along Hwy. 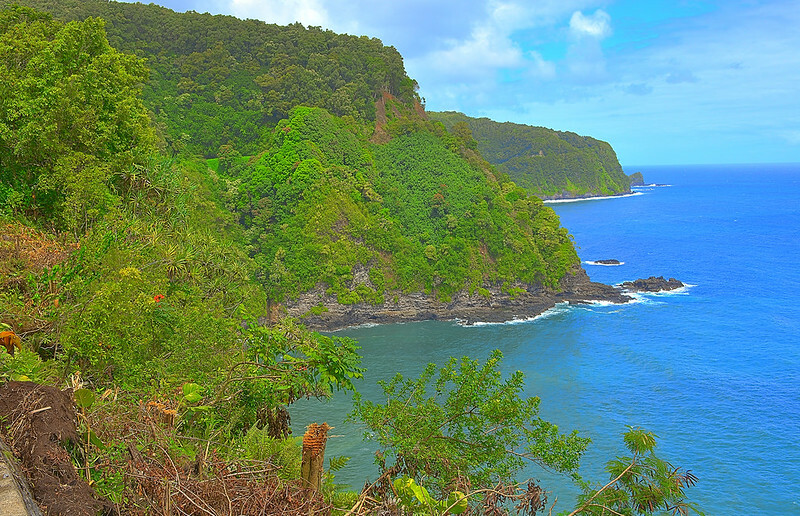 36 (Hana Highway). This was one of the first opportunities to see the coastline since leaving the Paia area. Image published by Kirt Edblom on 2018-08-07 21:16:16 and used under Creative Commons license.